Before I pass along this cool little strategy tip for winning at Roulette I should tell you one thing – the guy who told me this tip was quite drunk. Not Nick Nolte drunk, but still pretty hammered. However, after he slurred the explanation out to me, I did a little research. And lo and behold, he wasn’t crazy, and despite being about 15 drinks in he still got the gist of it right. So here its. Now, I’m paraphrasing him here, so I’ll remove all the slurring and swearing. To play this strategy, choose either black or red, then place a bet on that color (that’s an “outside” bet, as opposed to just playing your chips on a particular number). Let’s say you put $5 on red. Now the wheel spins and if you win, great. You owe me a beer. But if lands on black, you lose. So what do you do? You double your bet on red. So you put down $10. Now it spins again…if you win, awesome. If you lose, double your bet again to $20. Just keep doing this until you win, which is bound to happen sooner or later. Probably sooner. The trick is you either win a bunch of little bets, or you lose a bunch of little bets but wind up winning one that’s big enough to cover all your little losses. Now it all sounded quite foolproof when he explained it to me. The only potential flaw in the plan is that you might be phenomenally unlucky. If, in the example above, you hit some huge bad streak of enough blacks in a row that you’ve lost your whole bankroll then…well, what can I tell you? That’s why they call it gambling. Note: I in now way am guaranteeing victory using this technique. But it did work for me when I tried it. Care to give it a shot? 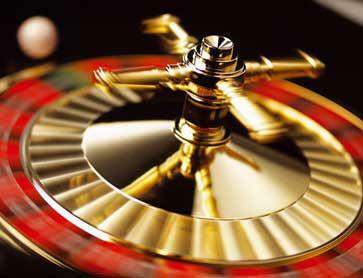 Play Roulette now.